He’s the co-host of the podcast Politically Re-Active with friend/fellow comedian W. Kamau Bell. 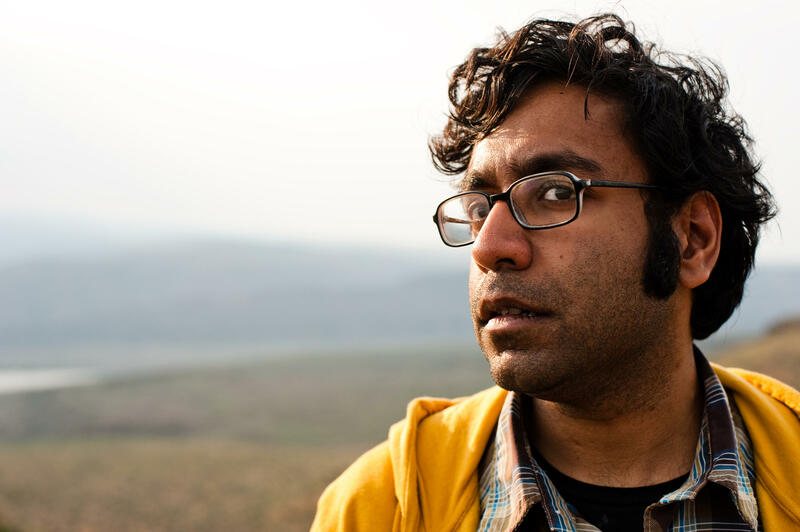 His new documentary The Problem with Apu will premiere on truTV on November 19 and Hari will perform at Iron Horse Music Hall in Northampton, MA on Saturday, November 4. Nick Cave is an American fabric sculptor, dancer, and performance artist. He is best known for his Soundsuits: wearable fabric sculptures that are bright, whimsical, and otherworldly. 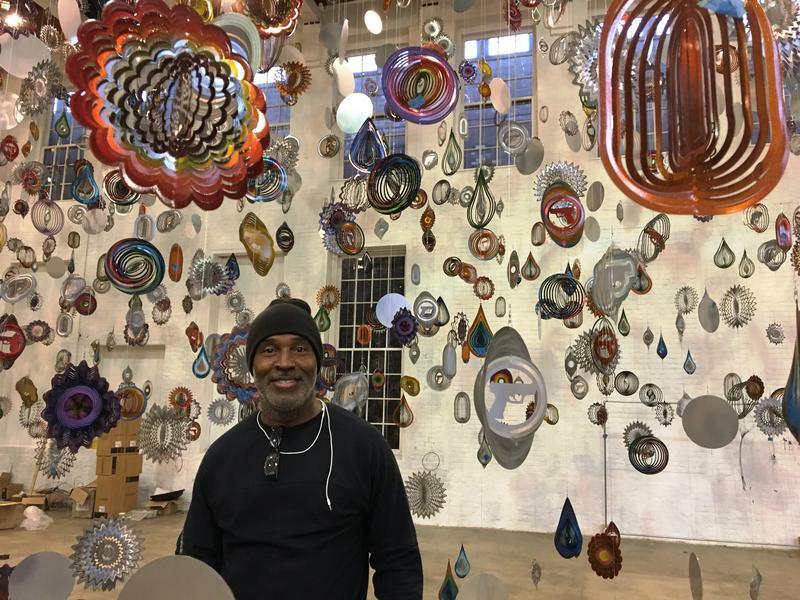 In his new work, “Until,” Cave uses MASS MoCA’s football field-sized space to create his largest installation to date, made up of thousands of found objects and millions of beads, which will make viewers feel as if they have entered a sensory tapestry, like stepping directly inside the belly of one of his iconic Soundsuits. For the piece Nick Cave and his curators and assistants have gathered 16,000 wind spinners; millions of plastic pony beads; thousands of ceramic birds, fruits, and animals; 1 crocodile; 17 cast-iron lawn jockeys -- and so much more. We visited MASS MoCA during the installation of “Until” - which opened on October 15th and will be on view in North Adams, MA through early September of next year. Nick Cave and curator Denise Markonish lead us through the exhibition. The 2017 Woodstock Film Festival begins tomorrow and will feature documentary and narrative films, panels, and parties in the Hudson Valley through the 15th. The new musical film, Stuck, directed by Michael Berry, will screen at the Woodstock Playhouse tomorrow at 7pm and at Upstate Films in Rhinebeck on the 14th at 9:30pm. In Stuck, six strangers trapped together on a stalled New York City subway car confront their assumptions of one another under the scrutinizing eye of Lloyd, a mysterious homeless man, played by Giancarlo Esposito. Esposito is likely best known for his roles in Spike Lee films such as Do the Right Thing, School Daze, and Mo' Better Blues. Other notable films include Fresh, The Usual Suspects, and King of New York. He plays Gustavo “Gus” Fring on Breaking Bad and its spin-off Better Call Saul. 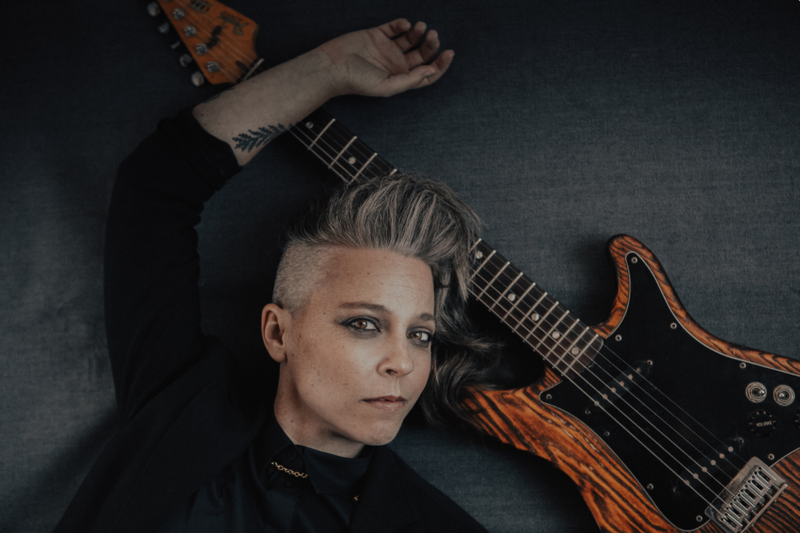 On September 9th, singer-songwriter, sportsfan, writer, and music producer Erin McKeown is playing at Signature Sounds’ The Parlor Room in Northampton, MA on September 9th with Orchestral synth-rock band, The Cabin Project. Prior to that, on September 4th, McKeown will present her 8th Cabin Fever live-streamed house concert -- for which she and The Cabin Project will play her two recent EPs, Mirrors Break Back and According to Us. The episode is free - donations will be distributed to Houston Food Bank, Black Girls Code, and Border Angels. 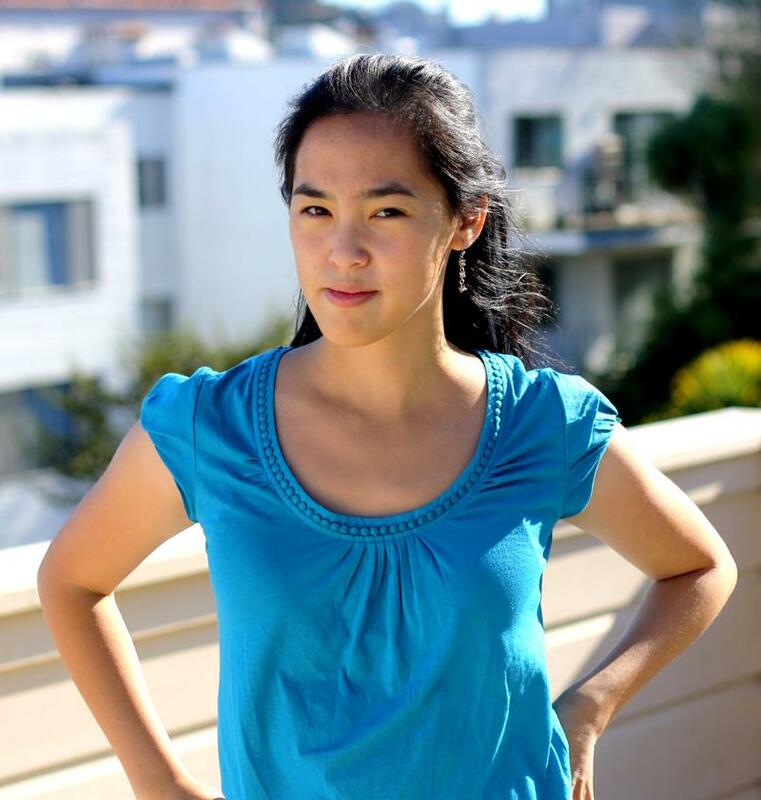 New York Stage and Film and Vassar College’s Powerhouse Theatre presents an Inside Look Workshop of Lauren Yee’s new play, The Great Leap July 7-9. The play is set in San Francisco in the Spring of 1989. Manford Lum, locally renowned on the sidewalk basketball courts of Chinatown, talks his way onto a college team, just before they travel to Beijing for a "friendship" game. His background is a mystery, but he can sink 100 free throws in a row, so who cares? When they arrive, China is in the throes of the post-Cultural Revolution era, and Manford must juggle international politics and his own personal history.